Born: 18 July 1943, Lille, France. Education: École supérieure des beaux-arts, Marseilles, France [Fine Arts]. Career: As a young fine arts student he immigrated in 1965 to Montréal [and became a Canadian citizen in 1971], where he began his career as a trainee electrician for dir/doph Michel Brault. A year later Brault made him his c.asst. He worked his way up to directing doc's for Radio-Canada and in 1975 became the president of the 'Association des réalisateurs et réalisatrices du Québec' [ARRQ]. 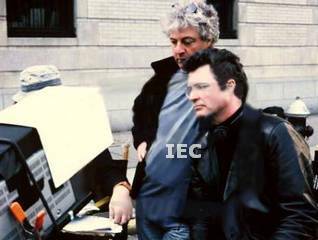 Ph commercials dir by Francis Mankiewicz [for Air Canada (1984)], Cosimo Cavallaro, Jean-Claude Lauzon, Charles Binamé, a.o. Also active as director of doc's and commercials. His brother Georges [1927-2008] was a doph/director. His niece Sylvaine is a c.op/doph. Appeared in the doc's 'Si smattes que ça?' [1972, Robert Blondin; ph: Alain Chartrand] & 'Jean-Pierre Lefebvre' [1974, Paul Crépeau]. Awards: 'Genie' Award nom  for 'Équinoxe'; 'Genie' Award  for 'Un zoo la nuit'; 'Genie' Award  for 'Jésus de Montréal'; 'Genie' Award nom  for 'Nelligan' & 'Moody Beach'; Halifax 12th Atlantic FF  & 'Genie' Award nom  for 'Léolo'; 'Genie' Award nom  for 'Le polygraphe'; 'Prix Jutra' nom  for 'Nguol thùa'; 'Genie' Award nom  for 'Stardom'; 'Gemini' Award  for 'Haven' [Part 1]; 'Prix Jutra' nom  for 'L'ange de goudron'; CSC 'Kodak New Century Award' ; Festival des Films du Monde 'Prix de la meilleure contribution artistique'  for 'Les filles du botaniste'. Since the 1980s, Guy Dufaux has been considered one of the shooters who transformed this country's screen images. 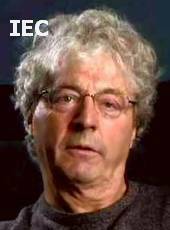 During the nascent years of Quebec film production, most feature moviemaking emulated the rough visual poetry and open-ended spontaneity of NFB directors such as Gilles Groulx, or basked in the carefully framed, softly lit lyricism of pictures such as Jean Beaudin's 'J.A. Martin, photographe' . Jean-Claude Lauzon's 'Un Zoo la nuit' , shot by Dufaux, boldly announced a new direction. 'Un Zoo la nuit' was far more controlled than documentary-style shooting, and cooler, more hard-edged than the prettified image-making that at the time signaled art. Here was a movie highlighting cool blues and deep blacks, one that dollied elegantly through vast waterfront lofts and followed an ex-con in a leather jacket as he rode his chopper toward a tragic fate. Before working with Lauzon, Dufaux had already expanded Canadian cinematography with 'Sonatine' , actress-turned-director Micheline Lanctôt's meditation on teen suicide, and Yves Simoneau's 'Pouvoir intime' , a movie demonstrating that Canadians could make genre pictures that have visual style and wit. Unlike shooters who fetishize certain equipment, Dufaux sees the stuff he works with as nothing more than the tools of his trade. 'I don't like equipment,' he says. 'It's not for me; it's not fun. As long as it works and gives what we're looking for, it's fine.' On the other hand, Dufaux thinks a lot about his choice of lenses. On the dark comedy 'Good Neighbours', 'I decided to go with Zeiss lenses, which are colder, more contrasty. On 'Barney's Version', I worked with Cookes, which are very soft.' As for HD, it yields good results, but the 'big, awkward, badly designed cameras' are a drawback. Dufaux speculates 'maybe in five years everything will be in HD, but right now for me it's still simpler to work in film. Shooting digitally you need more technicians, a data wrangler. The workflow is a lot more complicated than in film.' On top of that, 'the films made by Kodak and Fuji are so good now, and the cameras are lighter.' Most importantly, 'When I work in film I trust myself, and I can talk directly to the lab. There’s no in-between. When you work in HD, you can do so many things with the material. Somebody can completely change the look of the film.' Despite his reservations, Dufaux makes it clear that he doesn't oppose working digitally. 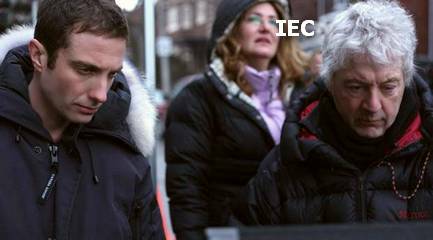 He takes numerous reference pictures with an electronic still camera, and his latest assignment, long-time collaborator Yves Simoneau's crime comedy, 'L'appât', is an HD movie. Les archanges [André A. Bélanger] ? Fonction publique [Jacques Gagné] ? Une solution [Guy Dufaux] ? Le jeu impossible [Guy Dufaux] ? With dir Peter Sehr [right] - "Love the Hard Way"
[Right] with Jacob Tierney - "Good Neighbours"
Ce soir-là, Gilles Vigneault... [Arthur Lamothe; doc] co-c.asst; ph: Jean-Claude Labrecque, Michel Brault, Claude Jutra, a.o.